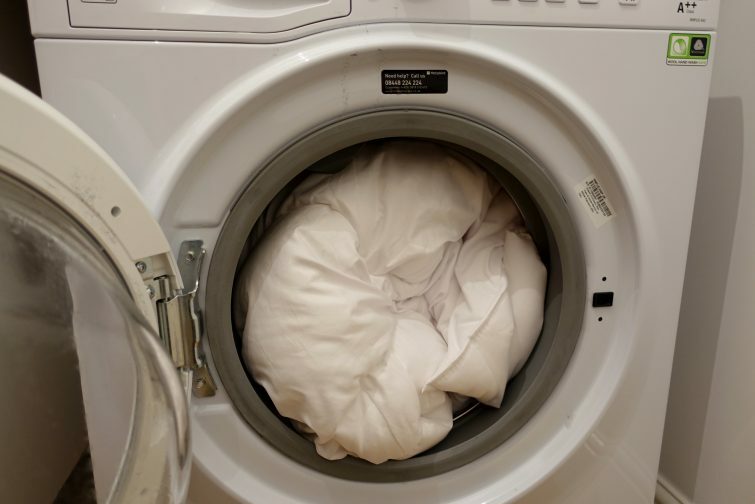 Have you ever tried washing a duvet in the machine at home?! 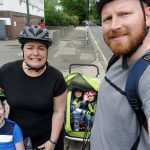 Until recently we had a standard sized 7KG drum machine and I could wash the kids’ naff single duvets or the spare double duvet at a push but I always felt I was taking a bit of a risk and that they would likely end up ruined. Of course needs must, bedding needs to be washed on a fairly regular basis to keep them smelling and feeling fresh. Your duvet could harbour dust mites, dead skin cells, sweaty odours or stains from accidentally spilling your morning brew. Even worse, if you’re night training kids . . . well let’s not go there. 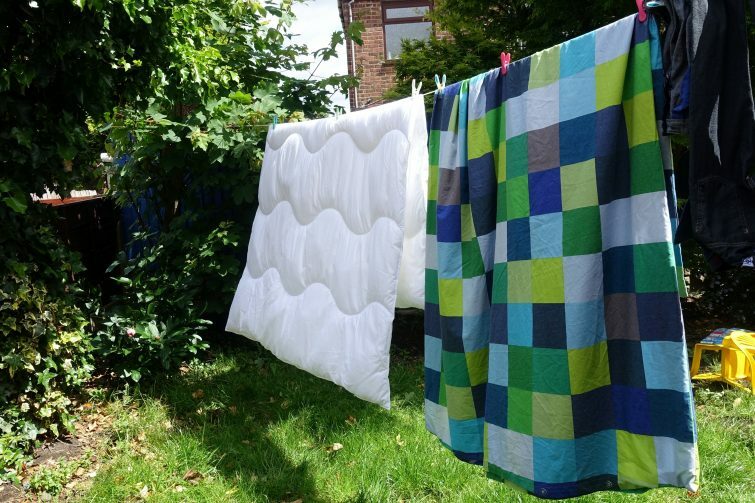 Being able to machine wash your bedding at home rather than spending time and money in the launderette and knowing that it will come out as good as new? Surely that’s too good to be true? Ben has been trying out a machine washable Spundown duvet from The Fine Bedding Company which claims to be easily fitted into a 7KG washing machine, that it can be washed up to 20 times without deterioration and that it will dry so quickly you can get it back on the bed the same day . . . Pretty brave claims?! 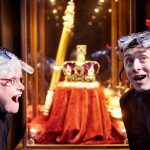 From the moment I took the duvet from it’s packaging I must admit that I regretted getting it for Ben and wished I’d ordered one for Dave & I instead. How selfish is that?! Honestly though, it’s the softest, most luxurious duvet I’ve ever felt – thanks to both the soft-touch microfibre cover and the advanced Smartfil® fibre filling. Ben, who is rather fond of a simile, said “It’s like a marshmallow!” and was super excited to get into bed and snuggle down for the night. I hold my hands up to being more than a bit nervous about washing the duvet. 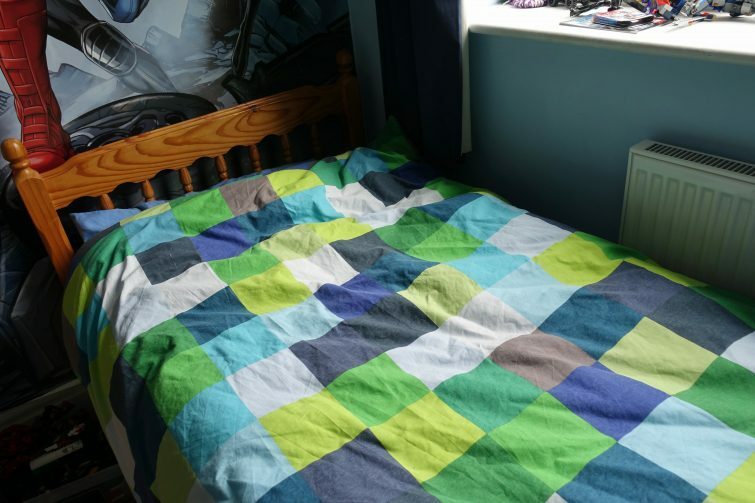 I’ve had supposedly machine washable duvets in the past which just haven’t withstood the spin – the filling has clumped up or just lost it’s bounce and before long I’ve had to replace them. Although we now have a large 9KG washing machine (which has been, quite frankly, life changing) I did worry that I wasn’t going to fit the duvet in, it feels so big and squishy. However, the fact that it’s squishy is it’s saving grace – its actually filled with more air than anything else so you just have to squash the air out as you push it into the machine. In order to kill off all the dust mites and any other nasties, it is necessary to wash your duvet at 60°. I only put Ben’s duvet on a quick 60° wash as it clearly wasn’t necessary to put it on a three hour cycle when it was effectively brand new. Apparently when machine washing duvets it is advisable to use considerably less detergent than usual – I may have missed the memo on that one and just put my normal dose of Persil in. Putting the duvet back on Ben’s bed, I was struck again by just how lovely and soft it felt. It hadn’t suffered at all for being in the washing machine and now just smelt lovely and fresh ready for my tired little boy to get into bed! All in I’m super impressed with this machine washable duvet from The Fine Bedding Company and at £42.50 for a Ben’s 10.5 tog single, I’m going to be replacing the girls’ duvets too I think!